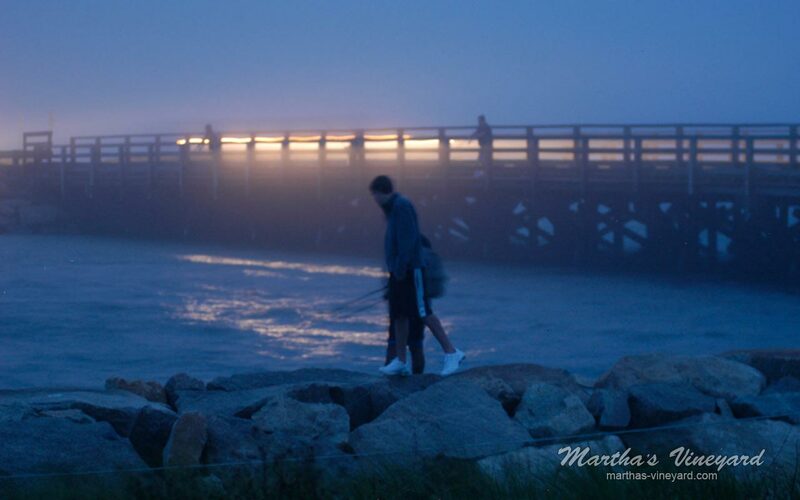 Oak Bluffs is the seasonal gateway to Martha’s Vineyard, with more ferries from towns on the mainland arriving throughout the day, than any other town on the Island. 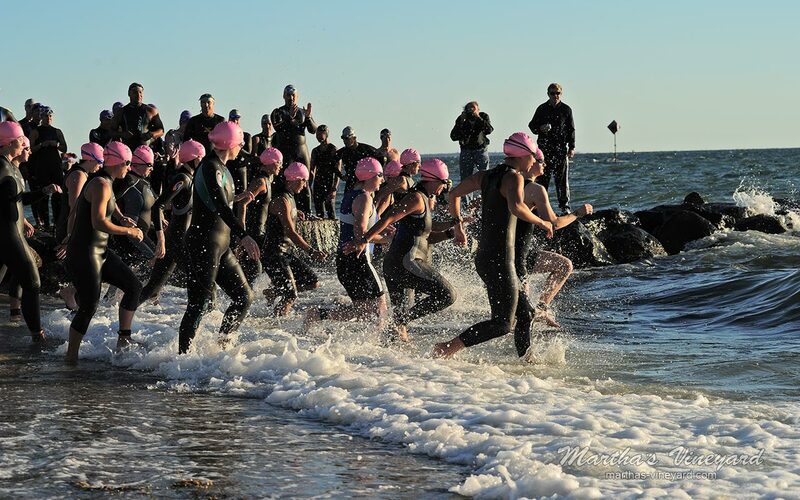 OB, as it is affectionately called, is a great place to start your day-trip or vacation. There are iconic attractions, like the Flying Horses located in the heart of town. Circa the early 1800’s, it is the oldest operating carousel in the Country and is on the National Register of Historic Places. If you grab the brass ring, you get a free ride. Be sure to visit the Camp Meeting Association campground of colorful gingerbread houses. There are over 300 cottages on 36 acres. The Tabernacle, built in 1879 is the centerpiece of the Campground. Circuit Ave is a quintessential resort town main street. There are several shops, restaurants, pizza shops, coffee shops, donut shops and ice cream parlors. 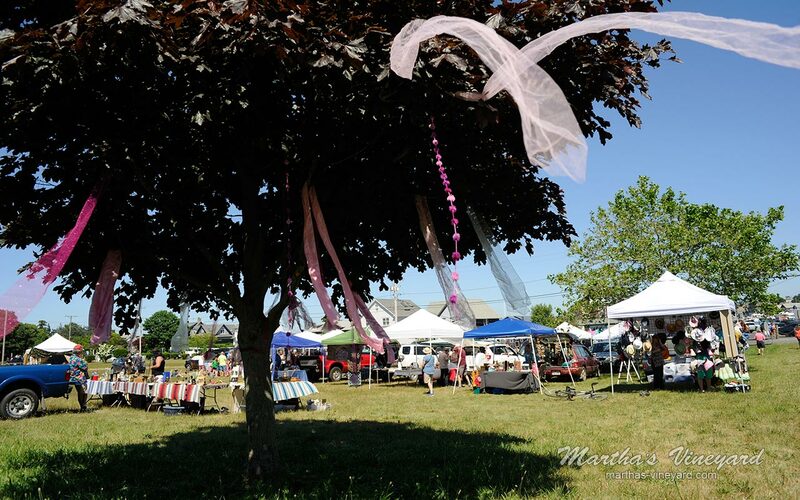 You will also find bars serving up great bar food and live music. 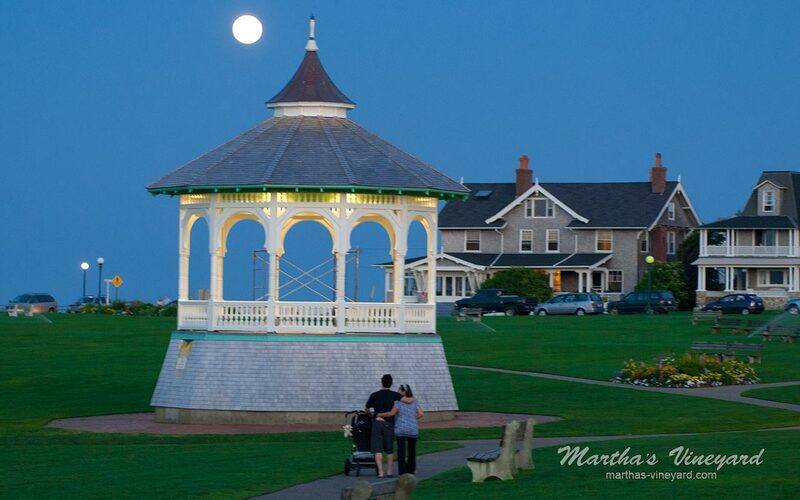 Ocean Park is a beautiful 7 acre park that welcomes you to Oak Bluffs. Great place to fly a kite or have a picnic. Don’t forget the beaches. Town beach and the Inkwell beach are a stone’s throw from Ocean Park. 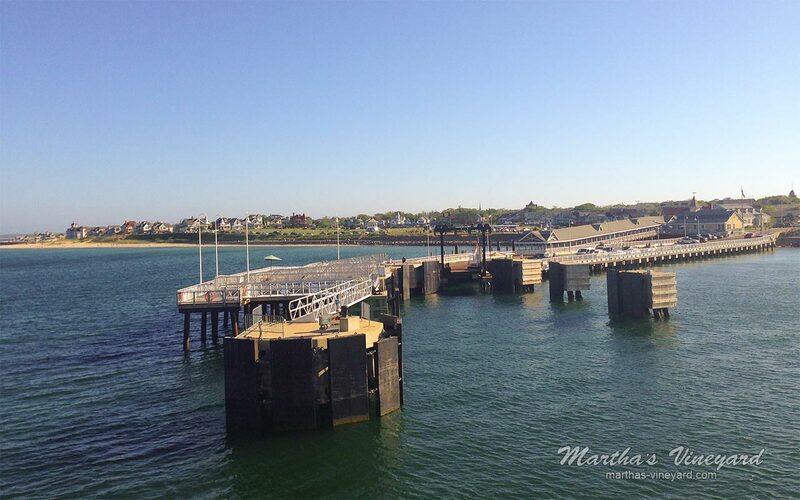 Fishing your passion, there is a brand new fishing dock right next to the Steamship Authority dock. Maybe you want to play a round of golf. OB has a beautiful 18-hole golf course that has been popular with at least two past Presidents of the United States. 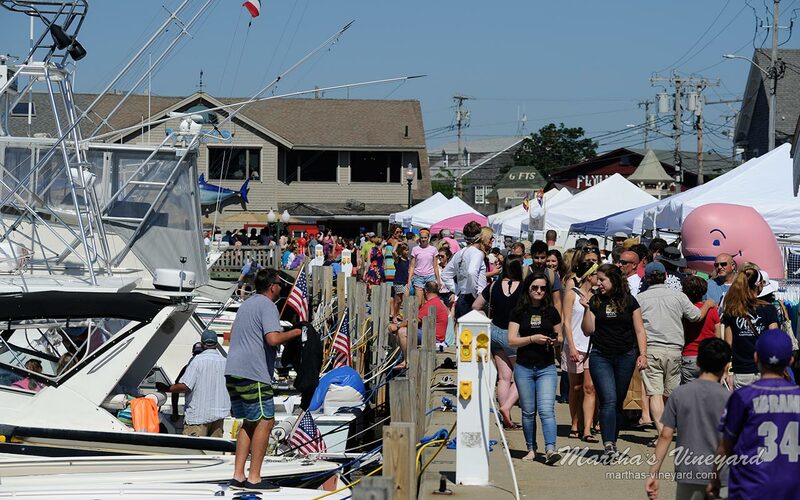 Oak Bluffs harbor is a very happening place. Most of the ferries dock on the harbor. There are several private boats and yachts coming and going. 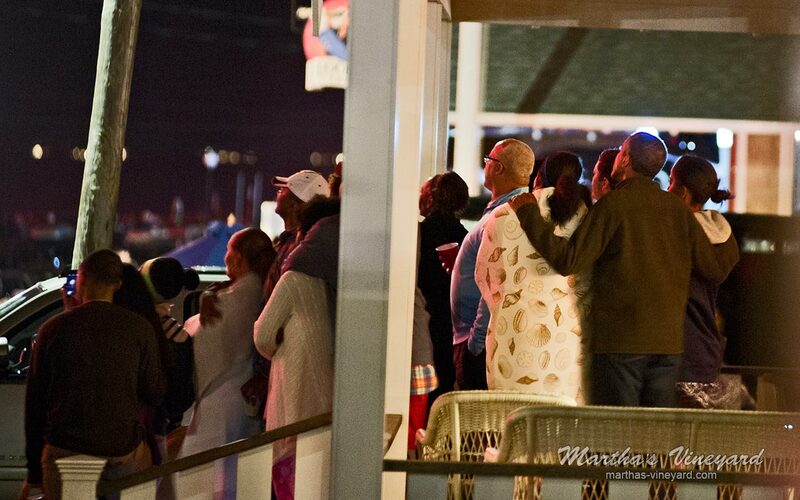 You’ll find several bars/restaurants with outdoor seating right on the harbor. You can hear live music fill the air from most of the bars/restaurants. 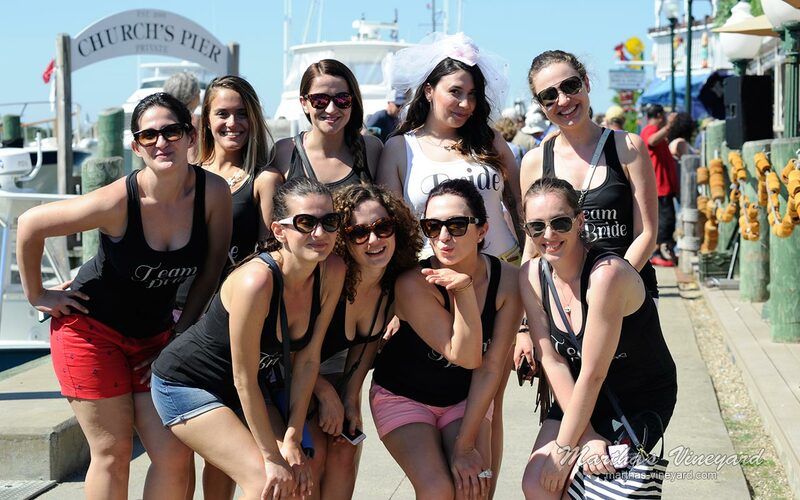 It you want to rent any type of watercraft, you came to the right place. Watercraft not your style, you can also rent bikes, cars and mopeds by the harbor. Great place to people watch! The OB harbor is the most active harbor on the Island. You can go out on a fishing charter. Several charter fishing boats are docked on the harbor. 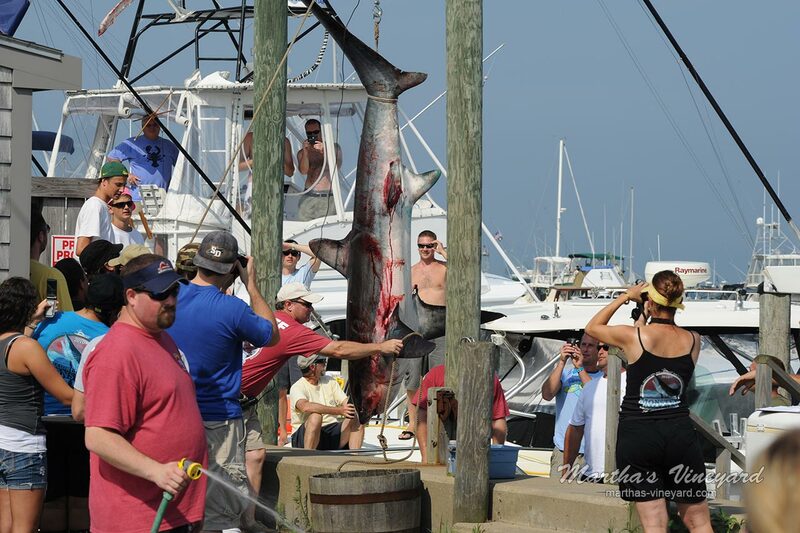 One of the boats claim to fame, is if you don’t catch a fish, you don’t have to pay! There are also package (liquor) stores in Oak Bluffs. 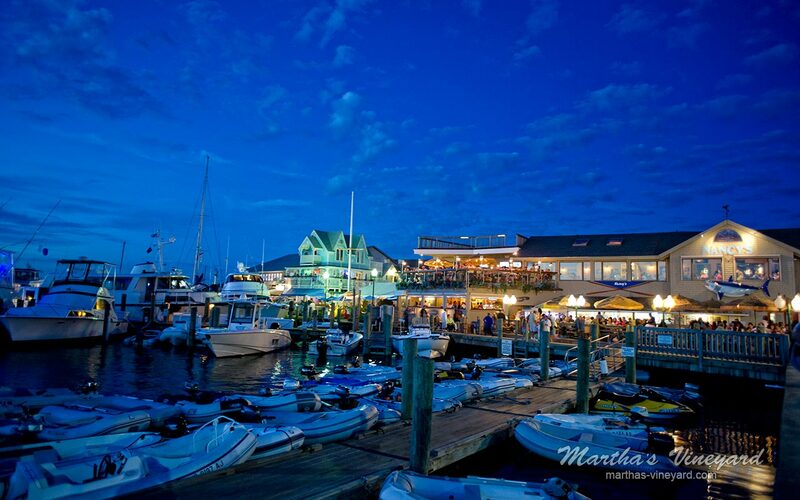 Only two towns, Oak Bluffs and Edgartown have package stores. Want to sit and look out of the window, tour bus/van companies meet every ferry to take you on a tour around the entire Island. There are several art galleries scattered throughout town. 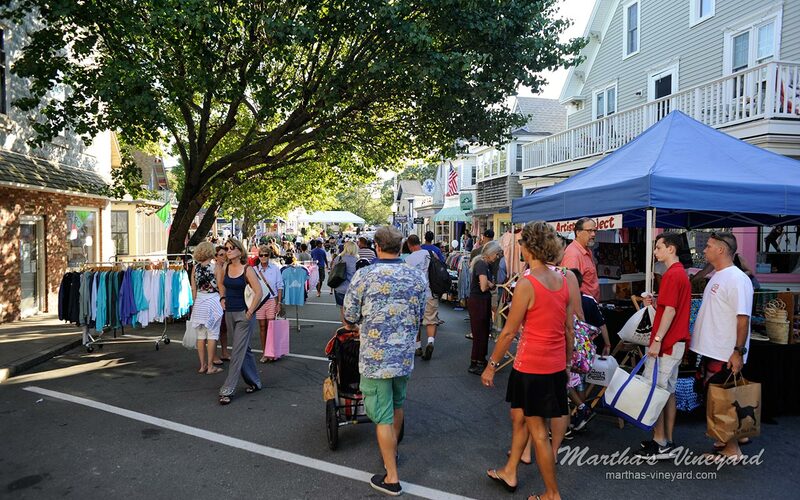 There is even an Oak Bluffs Art District and an organized stroll through the galleries in the District during the season. OK, you’ve walked the town, campgrounds, had a picnic in the park, flew your kite, rode on the Flying Horses, listened and danced to the music, ate at a restaurant, fished from the fishing dock, swam in the ocean, played a round of golf, strolled through the galleries, now walk or rent a bike, car or moped, and venture just outside of town to the East Chop Lighthouse. One of the five Historic lighthouses on Martha’s Vineyard. 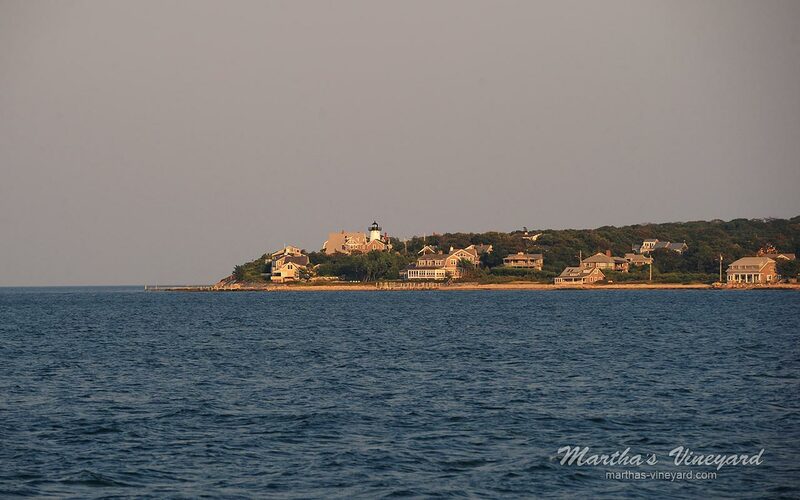 It stands on a bluff overlooking Vineyard Haven Harbor. 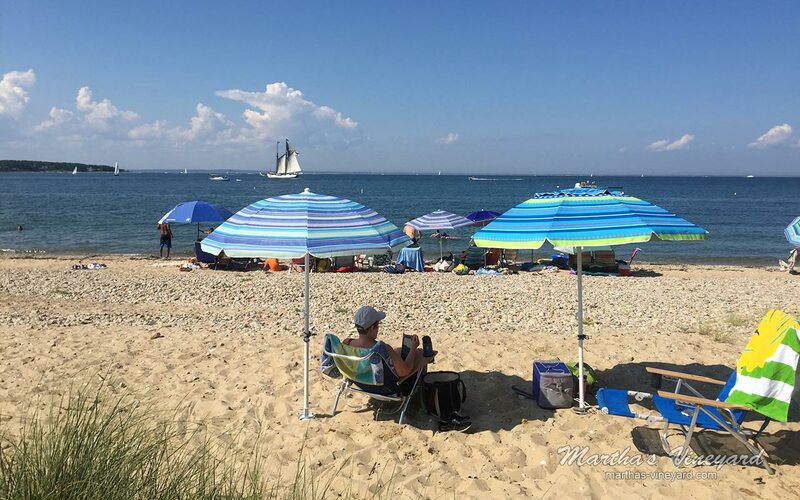 You’re not done with Oak Bluffs, there is another beach, tucked in just before the draw bridge that goes into Vineyard Haven. 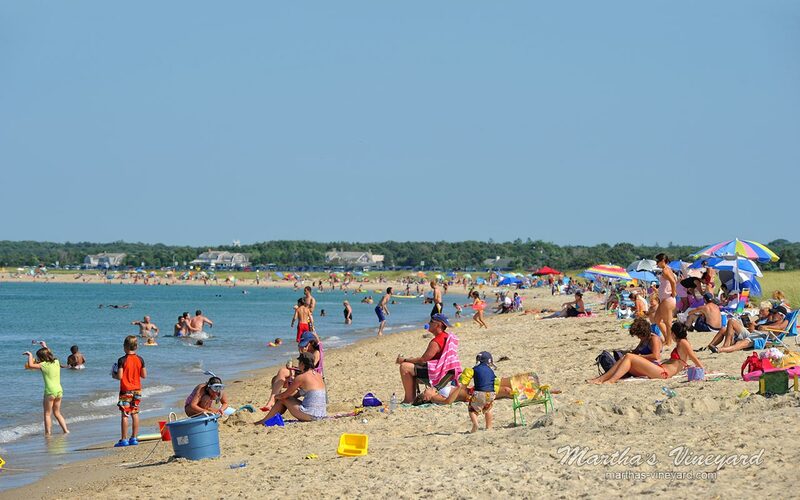 This is a small very popular beach with great fishing and views of the ferries and private boats coming and going into Oak Bluffs and Vineyard Haven. 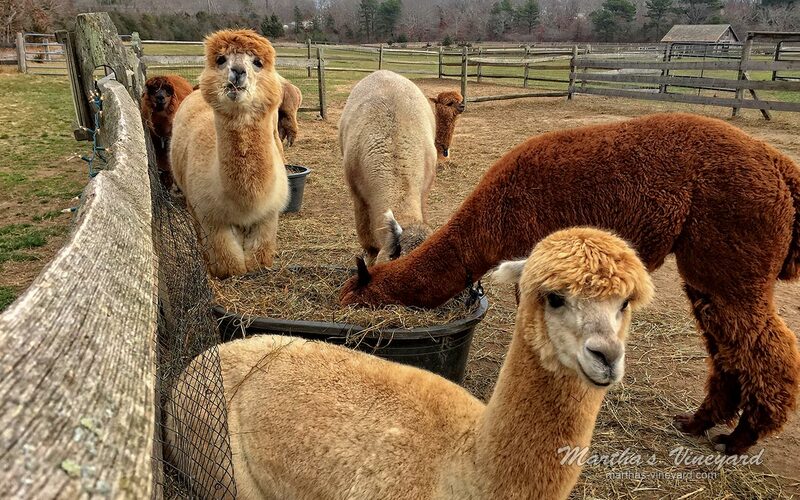 If you got yourself some wheels, you can now visit the alpaca farm. These cuties are not to be missed. You’re on this side of Oak Bluffs, so take in a collegiate baseball game at the High School’s baseball field. 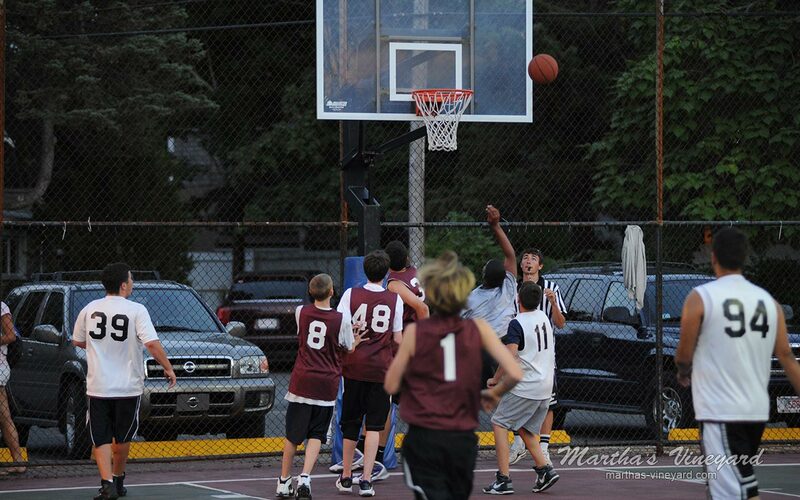 The Martha’s Vineyard Sharks play other collegiate teams on and off-Island. Many of the players are scouted by major league teams. Who knows, you could see a major leaguer in the making. Tired yet? 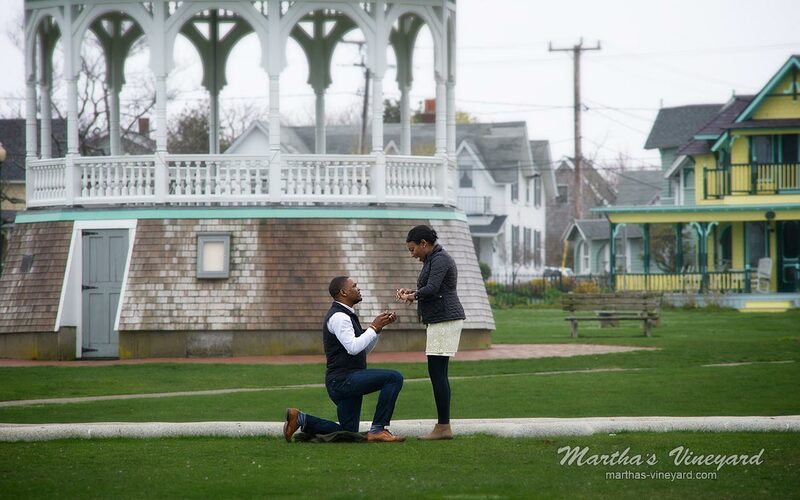 You haven’t even left Oak Bluffs. 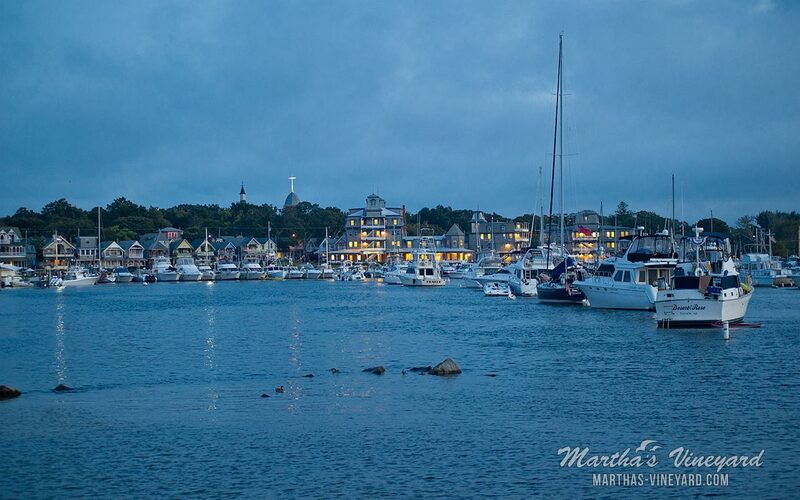 If you decide to stay here, there are several types of lodging, from waterfront hotels, to quaint bed and breakfasts. Some are even pet-friendly. Settled in 1642 as a part of Edgartown. In 1880, it was incorporated as Cottage City. 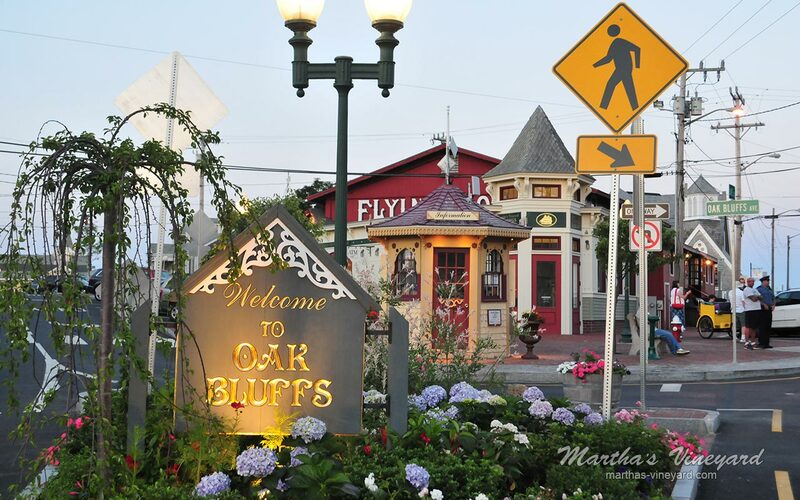 The Town was re-incorporated in 1907 as Oak Bluffs. 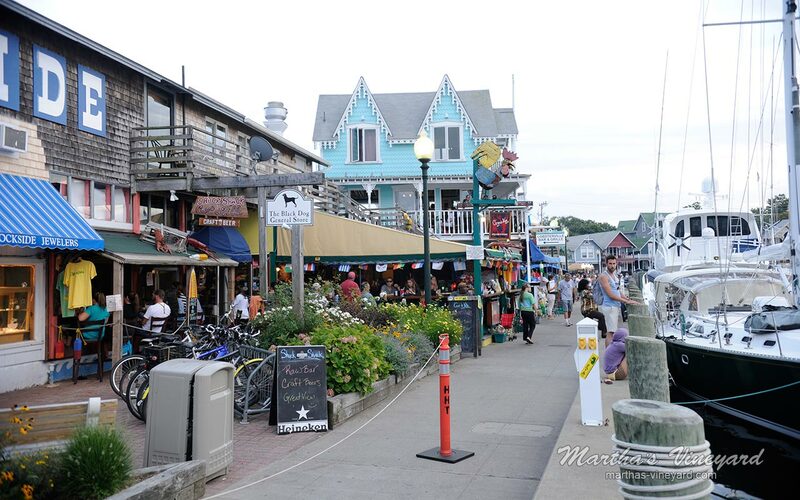 Visitors to Oak Bluffs will find a colorful, vibrant seaside town. It was the first summer resort on the Vineyard. Ferries from the mainland come and go throughout the day. There are several restaurants, ice cream shops, stores, movie theaters and historic places. 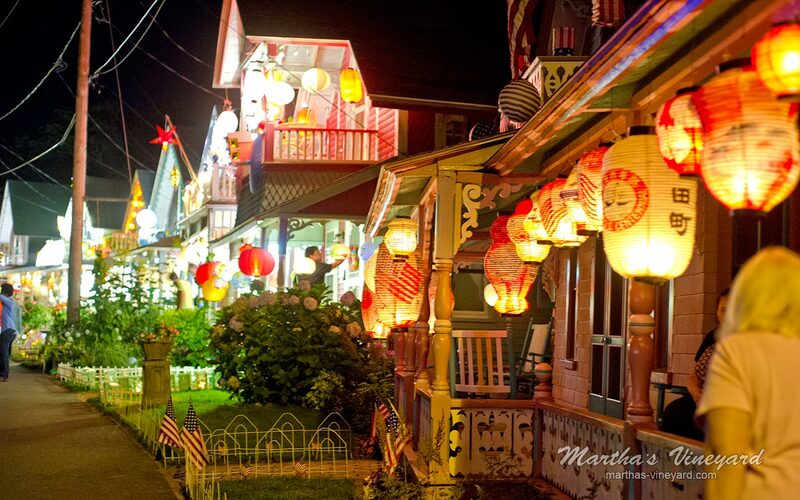 Oak Bluffs is known for its gingerbread houses, its rich history and the Flying Horses. 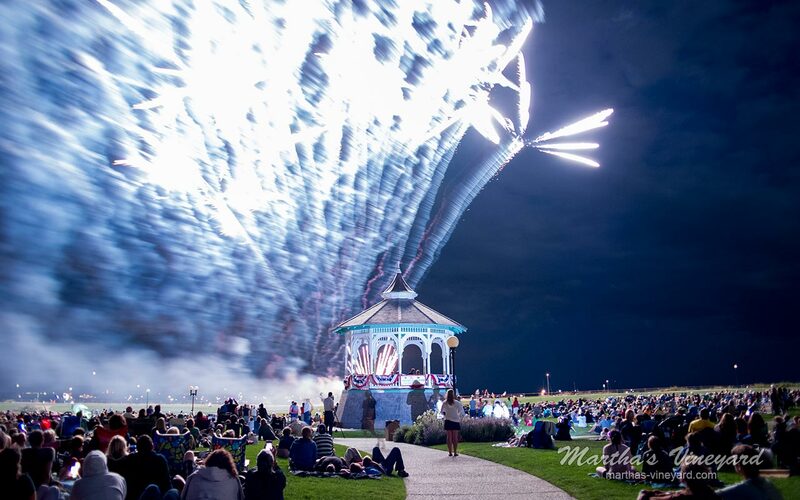 During the season, Oak Bluffs hosts several annual events, i.e., fireworks, Grand Illumination night, Tivoli Day and the Harbor Festival to name a few. 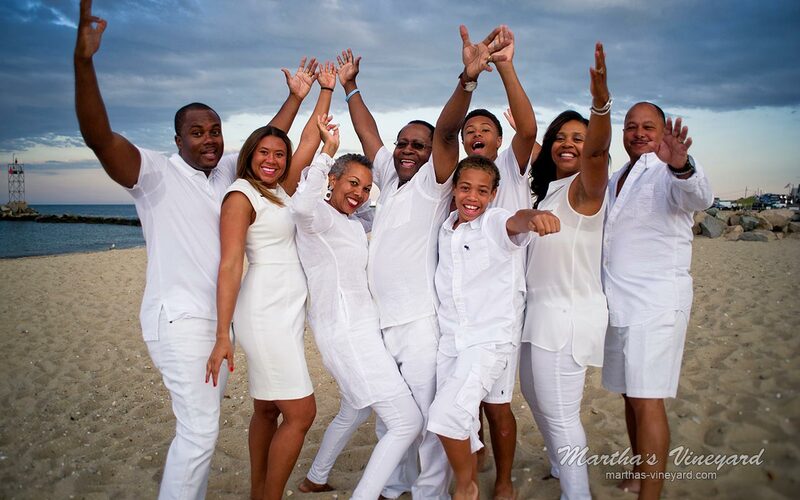 Oak Bluffs is a popular summer vacation spot for affluent African Americans from Boston, New York and Washington, D.C. 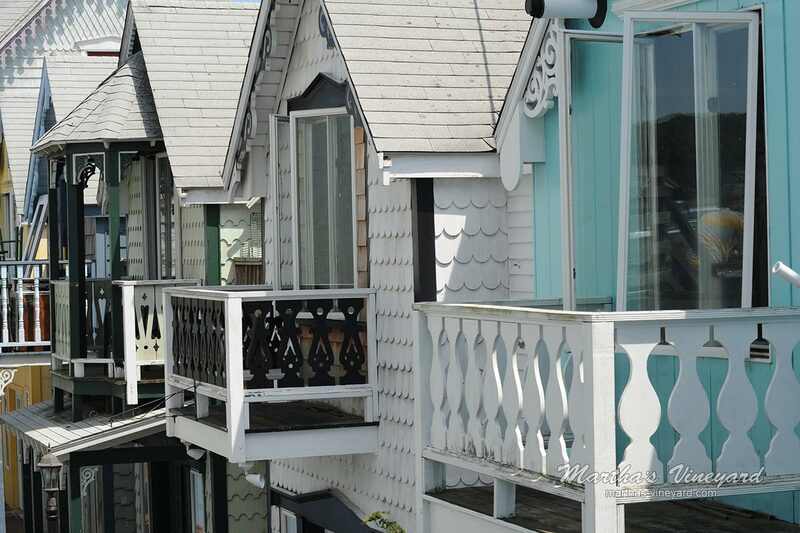 Many own houses in Oak Bluffs and have returned every year. Several of the houses have been passed through the generations. The history of the African American community is depicted in an exhibit in the National Museum of African American History and Culture in Washington D.C. There is also a large population of Portuguese-Americans originally from Portugal and the Azores. Oak Bluffs Portuguese-American heritage is on display every July in the annual Portuguese Feast held at the Portuguese American Club (PA Club). East Chop is a small residential area of Oak Bluffs. 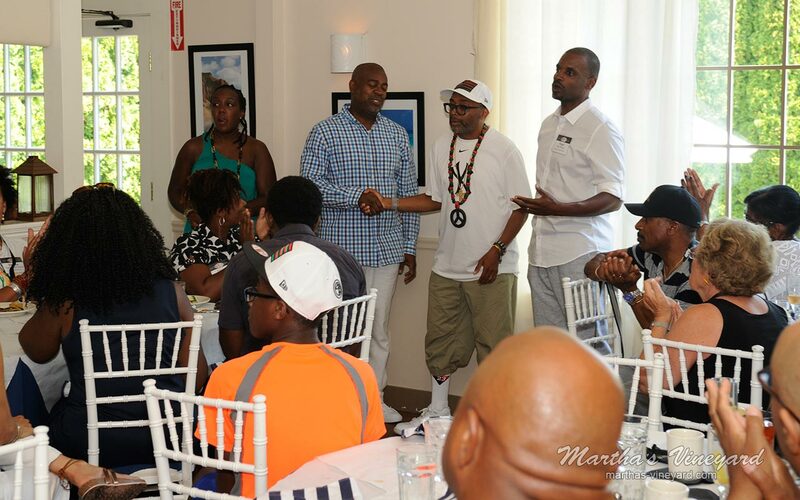 It is comprised of The East Chop Light, several stately mansions along the bluff, a private yacht club and the East Chop Beach Club.